The conjunctiva is the membranous lining along the inside of your eyelids and eyeball. 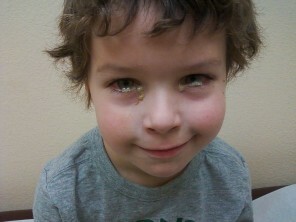 Pink Eye is a very common problem and most people experience it through a child, or as a child. Everyone’s heard of, or been part of, the class that has a Pink Eye infection run through the classroom. 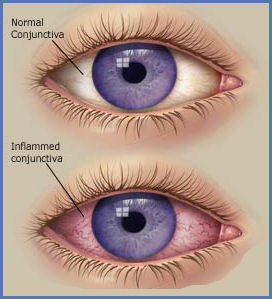 Each one of the above types of Conjunctivitis is named after their causes. Each one has unique traits when it comes to what type of organism causes them and how they are effectively treated. There are a few rare cases where Pink Eye has other points of origin, including certain diseases and even Sexually Transmitted Diseases. 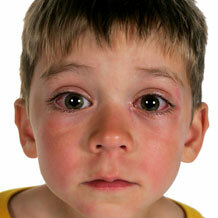 In these articles we will discuss the major factor in dealing with Pink Eye; Prevention. There is no better way to deal with Pink Eye than to try not to get it. Now, no one wants Conjunctivitis, so with a few simple steps you should be able to keep from dealing with it. If you are reading this category heading, then it might be that you, or someone you know has Pink Eye. If that’s the case then you know what a “pain” it can be. 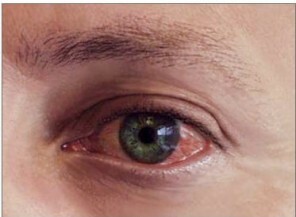 It can leave you or your loved one suffering for days on end, more if you have allergy based Conjunctivitis. We have done an extensive job with our information, but if there is something you don’t find here, or questions that you have, feel free to use our Comments Section. Odds are, if you’re wondering about something, then there is someone else out there wondering too. Don’t be afraid to ask, that’s what this site is all about. We’re all here because we are facing something embarrassing, and you should know you would be talking to people who know what you’re going through. So, for more information about Pink Eye check out the articles below.